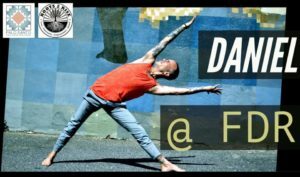 We actually can’t think of anything chiller to do in South Philly during the summer than FREE Saturday morning yoga with Daniel P. Cordua in FDR Park. So that’s what we’re gonna do. Roots2Rise has coordinated with Friends of FDR Park to bring you this FREE 10 CLASS Summer Series of outdoor yoga starting Saturday May 12th from 10-11am! No need to preregister. Just come chill outside, break a sweat, bust a move, and take savasana with one of Philly’s favorite yoga teachers in one of Philly’s most beloved parks: FDR!